CD Projekt Red is one of the few developers who really know how to roll out interesting details, regarding their upcoming titles in the work. Or perhaps every title they make is amazing, one way or the other since they do have the reputation of making amazing games, no? Quite recently new information regarding the Cyberpunk 2077 Shooting Mechanics has been revealed, which does make the game all the more interesting. Among the brilliant games studio develops, the decision to go the first person with the Cyberpunk 2077, seems to have been facing quite a lot of backlash from fans. They are uncertain, whether the studio will be able to justify the game with the First person view? To which the game’s cinematic animation acting lead, Maciej Pietras recently assured fans that they need not worry about the game. Even if the game is an FPS, it is on several occasions an RPG game as well, so there is a pitch-perfect blend between the two styles. Then rolling out a new piece of information regarding the Cyberpunk 2077 Shooting Mechanics, he said that the shooting on the game will be completely driven by stats. Which means that the skills of the character and its abilities will determine the level of competitiveness, which is a pretty decent move, done by the studio. What all this means is that players won’t be able to just one shot kill the enemies and move ahead, certainly not. The damage the players will be dealing with will be based on the build of the character and many other aspects. The Cyberpunk 2077 Shooting Mechanics seem to be quite complex but definitely, in a good way, they will act as one of the many aspects to enhance the gaming experience. That said, did you check out the details revealed regarding the Stealth Mechanics in the game? In Cyberpunk 2077 you will be able to perform missions the way you deem fit, stealth mode or just straight out violence, you will have the autonomy. 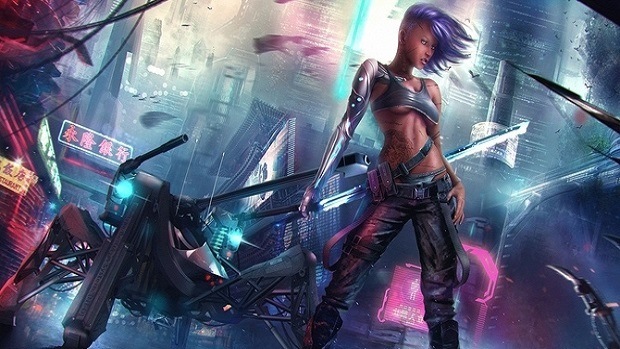 Aside from that, the music composer who composed music for The Witcher 3 is working on Cyberpunk 2077, so that also seems to be the catch lately. That said, what is your take on the Shooting Mechanics of the game? Let us know in the comments.